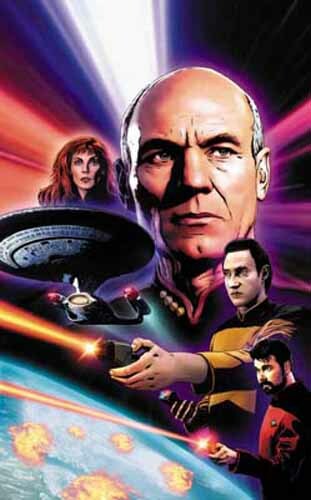 Comics Continuum have released IDW's solicitations for November, which feature three Star Trek comics and two omnibuses, including the first issue of the new TNG series, Ghosts. Written by Mike Johnson and Tim Jones, art by David Messina. From Star Trek writer/producers Roberto Orci and Alex Kurtzman and the creative team behind the best-selling Star Trek: Countdown. The final issue contains the climactic confrontation between Nero and the elder Spock -- leading up to the cataclysmic destruction of Vulcan! Written and illustrated by John Byrne. When the edges begin to fray, can the center hold for long? The alliance between the Klingons and the Romulans begins to collapse -- with the Federation squarely in the middle! 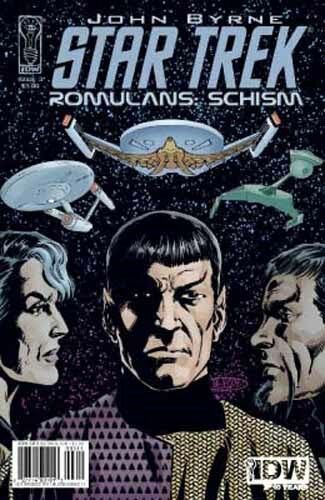 John Byrne's Romulan Saga comes to a literally shattering conclusion! 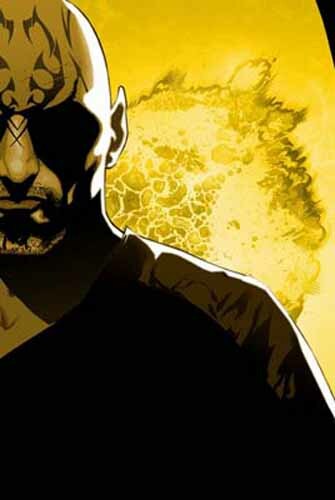 Written by Zander Cannon, art by Javier Aranda. Captain Picard and the crew of the Enterprise respond to a distress call and find a terribly wounded scientist aboard a marooned ship. While evaluating the planet below (and its two warring nations) for possible Federation membership, Picard discovers to his horror that the survivor of the disaster is foreseeing his death. In stories like "The Wormhole Connection," "The Only Good Klingon...," "Errand of War," "Deadly Allies," "Maggie's World," and "Judgment Day," get a close look at the relationship between the Federation and Klingon Empire. These fierce, warring people present unique challenges to the Federation, and in these classic stories give a glimpse of what the future holds for Federation-Klingon relations. 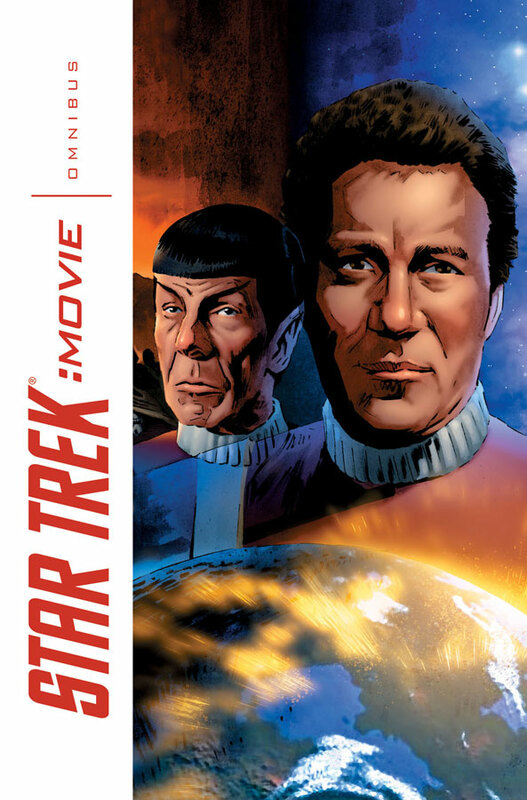 Star Trek's many movie adaptations are collected together for the first time in this Star Trek Movie Omnibus from IDW. 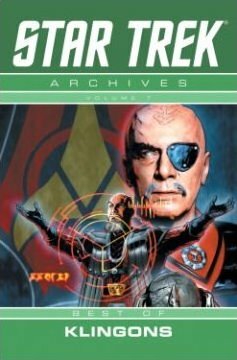 Included are the three-part Star Trek: The Motion Picture, the one-shots Star Trek: The Search for Spock, Star Trek IV: The Voyage Home, Star Trek: The Final Frontier, Star Trek: The Undiscovered Country, and finally the newly created, three-part Star Trek: The Wrath of Khan from IDW. Finally, in a post on his forums, John Byrne has revealed the omnibus book of his Crew series will include a pre-colored version of the third issue of the series, to show-off the pencil shading technique he began to use in that issue. DS9 comics! DS9 comics! DS9 comics!